An internship will help you get a job. According to a 2018 study, 94% of employers said they're more likely to hire a recent grad who had had an internship. In other words, it pays to get experience in your chosen field before you graduate. Receive approval from the faculty intern supervisor, your advisor, the division chair and the vice president and dean of academic affairs. Add the internship to your course schedule no later than the add/drop deadline for the term. Please be advised that some programs or courses of study require that you complete rotations, fieldwork, internships/externships and/or teaching assignments at facilities external to the university, while other programs or courses of study may offer voluntary internships or externships at facilities external to the university. Depending on the program or course, such facilities will or may require a criminal background check, an act 33/34 clearance (if applicable), and perhaps a drug screen to determine participant qualification or eligibility. Additionally, in order to become licensed, many states will inquire as to whether the applicant has been convicted of a misdemeanor, a felony, or a felonious or illegal act associated with alcohol and/or substance abuse. The faculty member will share information about the opportunity with eligible students within the specific major. You may be approached by undergraduate students to act as a faculty sponsor for their internships. An academic internship is an approved and monitored work experience, related to an academic field of study. The difference between an internship and a short-term job or volunteer experience is the internship is structured to attain intentional learning goals. In addition to the on-site work experience, interns work under the sponsorship of a faculty member, who establishes and evaluates academic requirements for earning credit for the experience. What are the components of an academic internship? Academic assignments, such as an integrative paper, oral presentation, job-related project and a reflective journal that helps the student to integrate learning at the worksite with topics from an academic discipline. Supervision by a professional at the worksite. Sponsorship by a PItt-Bradford faculty member. Students can earn from one to a maximum of three elective credits (determined by the academic requirements) per internship. The academic requirements should be specific to the internship and commensurate with the total number of credits desired. Grades on an S/NC (Satisfactory/No Credit) basis. Who is eligible to do an internship? A student in good academic standing with at least a 2.0 GPA who has completed a minimum of 60 credits. What are the responsibilities of the faculty sponsor? Establish the student's academic requirements for earning credit. The required assignments should help the student reflect upon what was learned (in addition to what work was performed/produced) and how the internship helped him or her to develop academically, professionally or personally. Further, they should help the student to integrate the internship experience with previous and current academic studies, and with the academic discipline/field as a whole. Be available for consultation via email or phone at other times throughout the internship. Contact the intern's supervisor at least once during the term, either in person or by phone, to discuss the intern's responsibilities and progress. Complete the grade roster and submit the completed roster to the registrar. Portfolios featuring work created by the student (written documents, videos, publications, graphics) at the site. If you have questions or need additional information, contact Academic Affairs or your division chairperson. The Office of Career Services can assist you in identifying and contacting potential internship sites for your academic discipline. If you have not identified a specific site, the student will research, identify and contact potential internship sites. The Office of Career Services can help the student obtain internship information and assist in identifying potential sites. While faculty members and Career Services staff members can help the student explore internship opportunities, the responsibility for finding an internship ultimately rests with the student. You will share information about the opportunity with eligible students within the specific major. 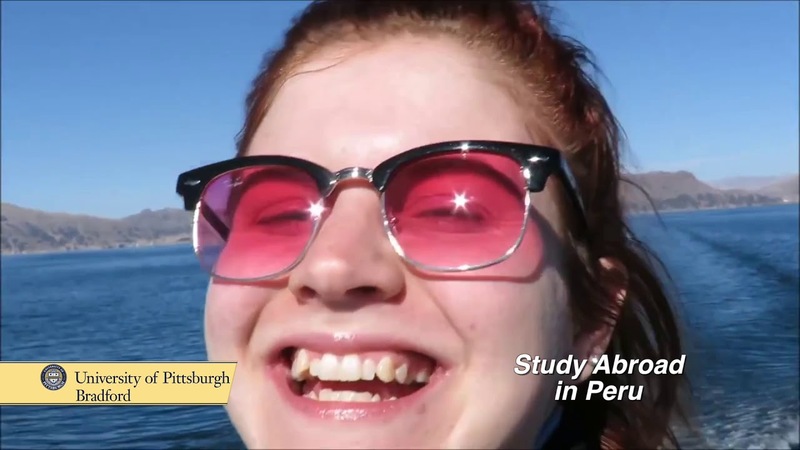 Students talk about the many opportunities at Pitt-Bradford.